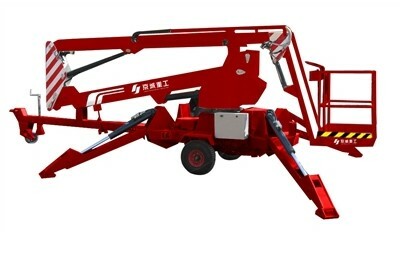 Articulating boom lift GTBY14 applies with high strength welding steel on its boom. Large lifting capacity allows 2 persons with tools to work. The platform has power failure emergency operation function. With telescopic boom and electro hydraulic proportional control, GTBY-14 has large working outreach.